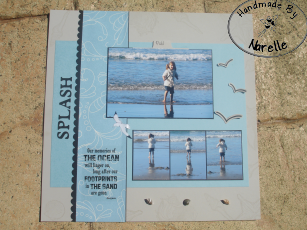 Today’s post is the last scrapbook page I made last Saturday. This page was a challenge I set from a sketch on pagemaps.com/. 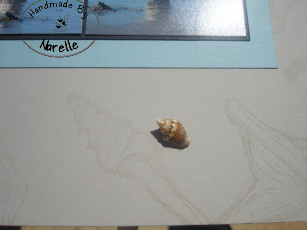 I have used VersaMark around the edges to stamp a sea shell image there, I have also hidden the journalling as I didn’t want it to impose on the page. Dionne had some small shell in her box of goodies and they finished the page off nicely. I am annoyed I forgot to take a photo of Dionne’s take on the sketch, whereas Julia made a card using another sketch I printed out. Have a great day. 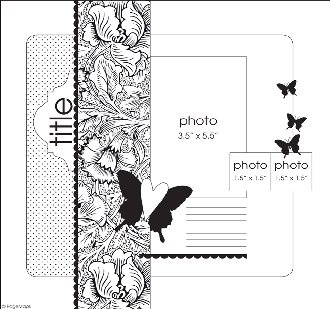 I am off to design another card, however in this case I will be casing a beautiful card.